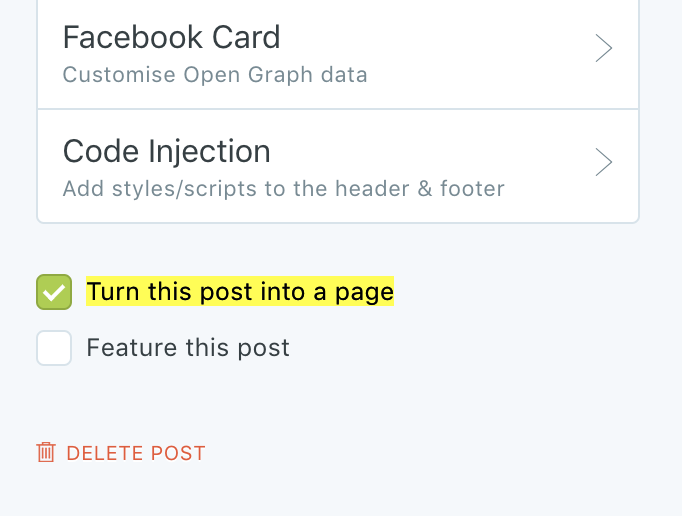 Let's see the 3 differences between posts and pages in a Ghost blog, what is a page and how to turn a post into a page. 👀 Pages are only ever published on the slug which is given to them, and do not automatatically appear anywhere on your site, so the only way people find them is if you create manual links to them either in your content or menu. Learn more about the November 2018 update including public dashboards, tags report, IP filter, interactive charts, better performance and more!